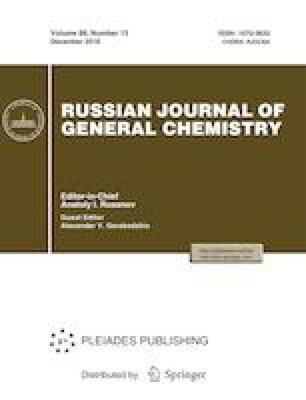 The composition of metabolites of cyanobacteria cultures of the Astrakhan region has been studied by thin-layer chromatography, high-performance thin layer chromatography, and high-performance liquid chromatography. Thin layer chromatography analysis of the cyanobacteria metabolites has shown the best separation and quality of chromatographic zones in seven systems: chloroform, ethanol: acetic acid (1: 1), butanol, ethanol: water (1: 9), butanol: acetic acid: water (4: 1: 5), ethanol: water (9: 1), and butanol: acetic acid: water (4: 1: 5). The flavonoid quercetin has been detected in an aqueous–alcoholic extract by high -performance thin-layer chromatography. The high-performance liquid chromatography has allowed identification of aspartic, isomonic, lactic, and fumaric acids in the cyanobacteria metabolites. Antioxidant activity of aqueous and aqueous-alcoholic extracts of the Phormidium ramosum B.-Peters IPPAS B-2022 culture has been detected. Original Russian Text © Yu.V. Bataeva, M.S. Satkalieva, S.V. Antonova, M.A. Sinetova, A.Yu. Kozlova, O.V. Astafyeva, A.S. Baimuhambetova, 2018, published in Ekologicheskaya Khimiya, 2018, Vol. 27, No. 4, pp. 175–181.